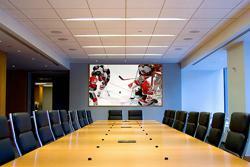 The Board of Directors consists of ten elected directors and one appointed representative of Morrisville State College, A single individual may serve a dual role if the Morrisville State College representative is also the Director of Youth Hockey. All board directors must be at least eighteen years of age. The Board of Directors will meet on a regular monthly basis. All board meetings are open to the general membership and are held at Morrisville State College. The board may also elect to have a closed executive session if necessary. In order to conduct a meeting, 2/3 of the elected members of the board shall constitute a quorum and must be present. If a quorum is not present, then the meeting will be adjourned and a new meeting will be scheduled. Robert Rules of Order shall govern the proceedings of all meetings except where these conflict with the By-Laws of the Association. The elected officers of the Association shall consist of President, President-Elect, Secretary, Treasurer, Registrar, Scheduler, Tournament Director, Director of Fundraising, Director of Officials, Concession Director. In addition, a representative of the Morrisville State College shall be an appointed voting member of the board. Center State Youth Hockey Association Board meetings are held held monthly and take place at the SUNY Morrisville IcePlex located at 105 Madison Rd Morrisville, NY. To request a release from CSYHA please email the organization president at csyha.president@gmail.com. All requests require a 10-day advance notice.